A General Meeting to establish the newly merged club was held on Saturday 20th June 2015 at West Hartlepool Rugby Football Club, Catcote Road, Hartlepool, which is to be the home of the club. The meeting was preceded by an intra club game at English Martyrs School – just across the road from the rugby club. For details of the club’s key officers please use the following link. 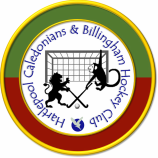 Prior to merger Hartlepool Caledonians was successful in obtaining a grant of £10,000 to help fund a 3 year project aimed at developing a permanent Club Schools Link in the town. As well as funding equipment, junior training sessions and coaches the grant helped to set up a junior section and compete in local competitions at this level. This will contribute to the aim of achieving Club Mark accreditation in the near future. All Annual Subscriptions are due by 31st October in each season. Failure to pay this or match fees may result in a player not being allowed to play. Registration: All members must complete a Member Registration Form. If you have not done this click here to download. After completion please hand in to your team captain. If your address or contact details changes please inform your team captain or the club secretary.